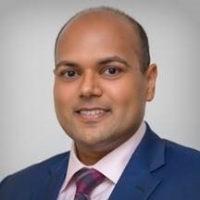 Ronak Savla, Pharm.D., Ph.D., is the Global Scientific Affairs Manager at Catalent Pharma Solutions and a Co-Chair of the Catalent Applied Drug Delivery Institute. Since taking on his current role in 2016, Dr. Savla is responsible for the strategy and execution of the scientific communications plan, management of external collaborations, identification and nurturing relationship with Key Opinion Leaders, scientific assessment of novel drug delivery technologies, oversight of internal technology development, and leadership of the Scientific Excellence Initiative. Dr. Savla is leading several initiatives focused on patient-focused drug design including a collaboration with Rutgers University School of Pharmacy to investigate dose form design issues facing pediatric patients. Prior to his current role, Dr. Savla was the Applied Drug Delivery Fellow at Catalent as part of the Rutgers Pharmaceutical Industry Fellowship program from 2014 to 2016. Dr. Savla obtained his Pharm.D. and Ph.D. degrees from Rutgers University. Dr. Savla is an author on over 70 papers, articles, posters, and abstracts and has given dozens of conference presentations that cover a wide range of drug delivery topics.